WWF’s first Polar Bear Scorecard found that Canada has shown leadership by investing in subpopulation monitoring. 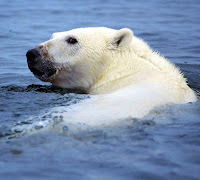 But two years into the 10-year, five-nation Circumpolar Action Plan for the Conservation of Polar Bears (CAP) it has not met its goals in identifying critical habitat nor in setting out best practices for tourism operators and for oil spill response. Story here. Degeneration nation, 2018. Our darkest hour.